Now in its fifth year, Short Run will host more than 200 artists at Seattle Center, including cartoonist and toy designer Jim Woodring, animator and Frank Zappa collaborator Bruce Bickford, and many others. 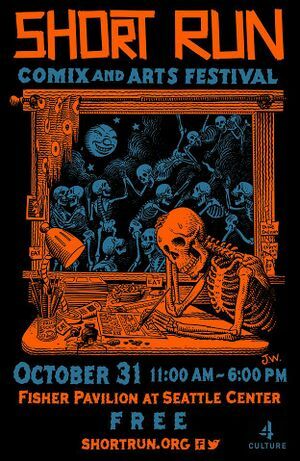 This Halloween, the Short Run Comix & Arts Festival will present its fifth annual curated showcase of indie comics and self-published, small-press, handmade books from the Northwest and beyond at Seattle Center — and, like every other year, attendance is expected to be bigger than ever. “It’s become a hugely popular event and the vibe there is so sweet and mutually supportive,” he said, in contrast to the mercenary environment of competing cartoonists he grew up in. 11 a.m.-6 p.m. Saturday, Oct. 31, Fisher Pavilion at Seattle Center, Seattle; free (shortrun.org). 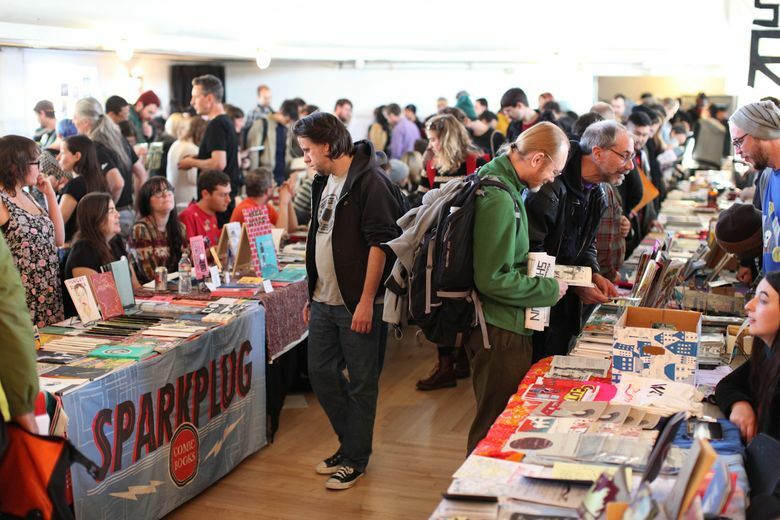 The festival originated when its founders, having taken many trips to alternative comic festivals elsewhere, noticed the lack of programming in Seattle for their small but passionate self-publishing and small-press community. “We were like, ‘Why are we traveling for this? This should be in Seattle,’ ” said Kelly Froh, a co-founder and director of the festival. Woodring says that Short Run has been a tremendous boon to the indie arts scene in Seattle, providing a unique place for artists like him to meet with peers and show off and enjoy one another’s work. 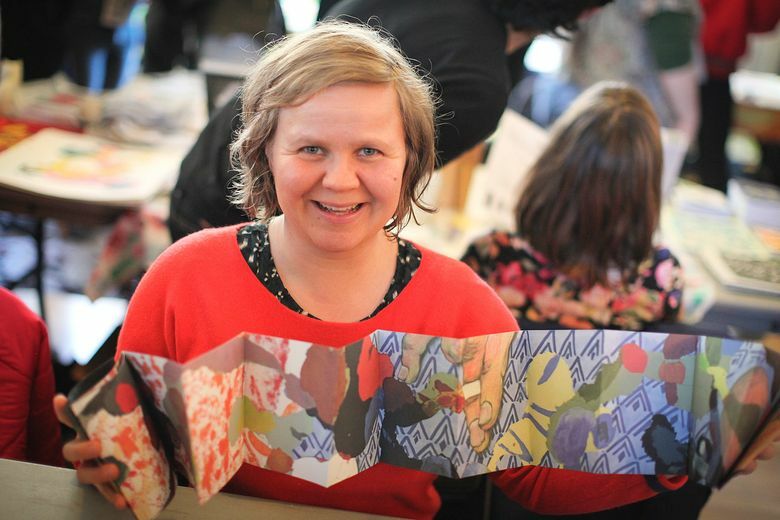 At this “glorious frenzy of printed matter,” as she calls it, more than 200 artists will display their work, eager to discuss it with both fans and peers. Beyond simply browsing and buying material that is rarely found in bookstores, meeting the artists is part of the experience. Franklin and Froh are proud that Short Run has become a hub for local comics culture.